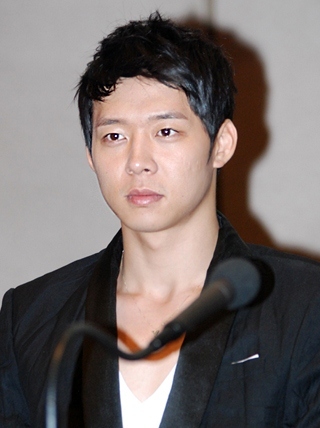 SBS has made the decision to air only 1 episode of Rooftop Prince on April 12th, 2012 in the last minute. Because of parliamentary election in South Korea, Rooftop Prince skipped the broadcast on April 11th, 2012, and has originally planned to air both episode 7 and episode 8 back to back on April 12th, 2012. On the morning of April 12th, 2012, SBS announced, “Rooftop Prince will only air 1 episode of episode 7 at 9:55pm tonight. After Rooftop Prince, the “Star Couples Show” will be broadcast as per normal at 11:15pm.” Instead, behind the scene stills and video clips are prepared for the disappointed fans. An official of SBS also said that the decision was made in order not to disrupt the Star Couples Show originally scheduled on Thursday night. Because of delay by 1 episode, SBS is considering on additional editing, but there is no decision yet on whether there would be extra episode together with episode 8 or 9. Meanwhile, MBC’s The King 2 Hearts will not change its plan, and proceed to broadcast 2 episodes of episode 7 and 8 back to back on the evening of April 12th, 2012. With Man from the Equator achieved the record viewership ratings for the drama series on April 11th, 2012 (episode 7) when both Rooftop Prince and The King 2 Hearts not airing, the change of broadcast plan has attracted attention on how the ratings battle will turn out.